does anybody know, if it still looks good if the mirror is larger than the monitor? i got a 50x50 mirror with a approx. 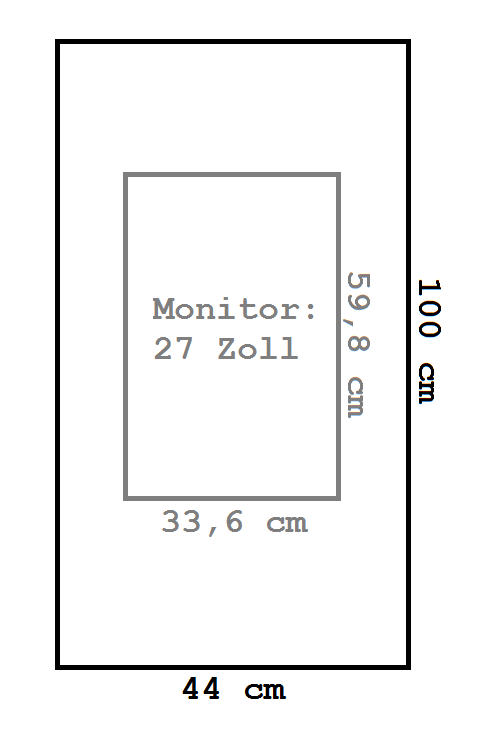 24° monitor. i taped the free area of the mirror to get full darkness behind it. Could you share some pictures? I would love to see for myself. Is there any downside when the mirror is bigger (*1,5 or *2) than the monitor behind it? @strawberry-3.141 How bad could it get? Sorry, I have no experience with mirrors. Do you have any pictures how it could look like? @strawberry-3.141 I’ll use the two way mirror form Germany (light transmisson 24 percent)and (probably) the BenQ GL2760H (contrast 1000:1, brightness 300 nits = 300 cd/m²) if you can get something out of it. It looks totally fine. There was some bleed at the edge of the monitor where you could see some light-glow, but I taped that down with electrical tape and now it’s perfect.